It costs 5x the budget to acquire a new customer as it does to retain an existing customer. So what drives customer loyalty and retention in your business? The Big Squid Customer Retention block is your gateway to understanding the future of, and factors that drive, customer retention. 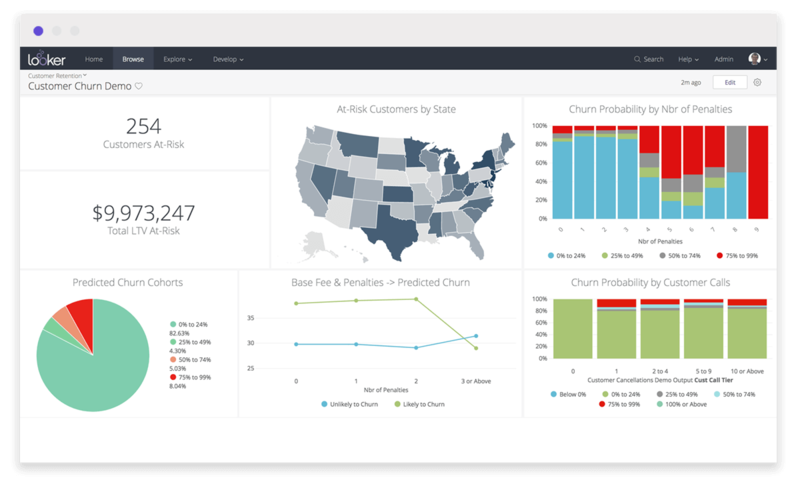 Powered by Big Squid’s machine learning platform, understand which customers are most likely to leave, their value to your business, and which data points are positively, or negatively, affecting customer retention. Drill into this data further to uncover channels, geographies, product lines most exposed to customer attrition and devise scenarios to avoid those outcomes. We help businesses drive measurable change and make smarter decisions... faster. It costs 5x the budget to acquire a new customer as it does to retain an existing customer. So what drives customer loyalty and retention in your business? Do you know the average lifecycle of a customer? Or the ROI of your current customer retention programs? Big Squid’s Customer Retention block allows you to identify specific data points like actions, campaigns, or offers that influence customer retention positively or negatively. 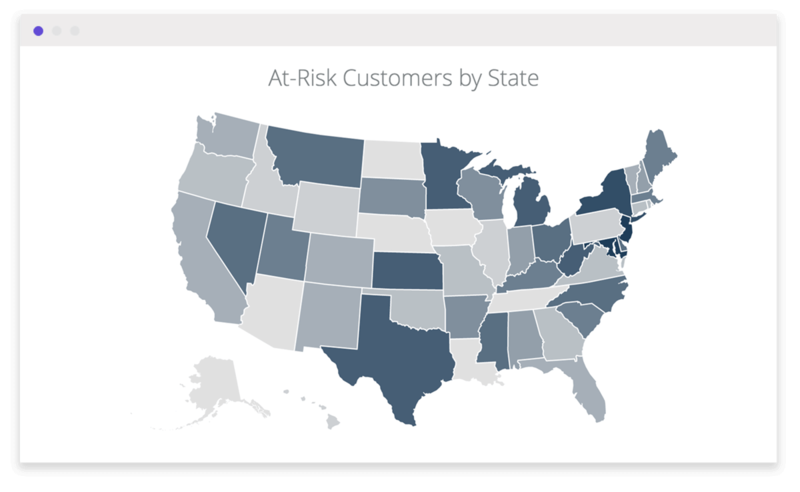 In addition you can determine which customers are “at risk” of leaving, segmented by relevant facets of your business. 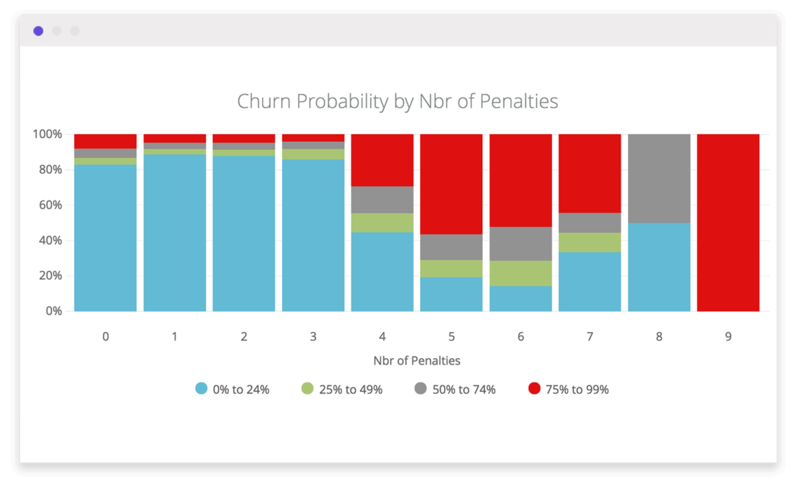 Monitor this in real-time: as your customer base, or their behaviors, shift, the Big Squid Customer Retention block will update to reflect changes in your likely retention levels. Stop reacting to customer cancellations and proactively manage customer engagement in the most important areas of your business. The Big Squid Customer Retention Block for Retail will help you answer these critical questions and help you define an actionable plan for building better retention rates in the future.